Anyone who is a sibling or has even observed siblings in action knows that there exists a special and often complex connection between combinations of brothers and sisters. These pairings make for some of the greatest love/hate relationships any of us will experience. A baby brother to take attention away, a sister who is the smart one, a brother who never gets caught hitting, a sister who a parent spends more time with. These are our partners in sibling wars. Many of us carry the emotional battle scars of sibling rivalry into our own parenthood. We are determined to get it right, helping our children navigate every “Not fair!” and “M-o-o-o-o-m!” moment they experience with each other. Let’s remember, though, that without the third party, usually parents, the whole concept of siblings as rivals falls short of a spirited argument. So, it is not just having a partner that creates the rivalry – it is the existence of another to witness and react to the struggles. Make that third-party power work for your children. Rather than intervening as referee, casting punishments right away, or ignoring, choose to coach your kids through conflict. Being proactive is always best, establishing family rules for behavior, communication, and interaction. When siblings argue anyway, returning to these reminders through family meetings or one-on-one reminders can help. Separating factions until emotions calm is often effective, too. As the third party, be consistent with expectations and with consequences, but allow your children room to work out their own arguments. Praise them for negotiating and making attempts to get along. “If you two can’t agree on taking turns with the video game controllers, they may be put away until you can figure it out” goes a long way. Guide children to win-win options they can use in all social situations. 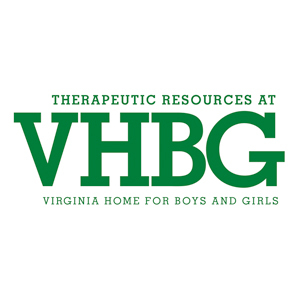 Karen Rice is a licensed clinical social worker and the clinical supervisor at Virginia Home for Boys and Girls (VHBG). She developed the clinical services program on campus and specializes in the treatment of children, teens and families. Karen has been married for 26 years and is the proud mother of two young women.